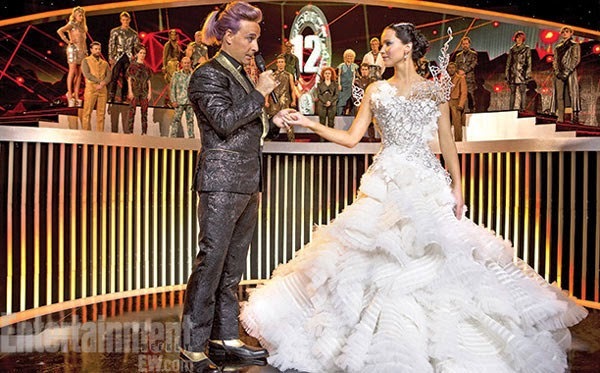 15 Most Memorable Wedding Dresses From The Movies - BREVILOQUENT. There’s nothing more important for a bride than what will she wear on her big day. 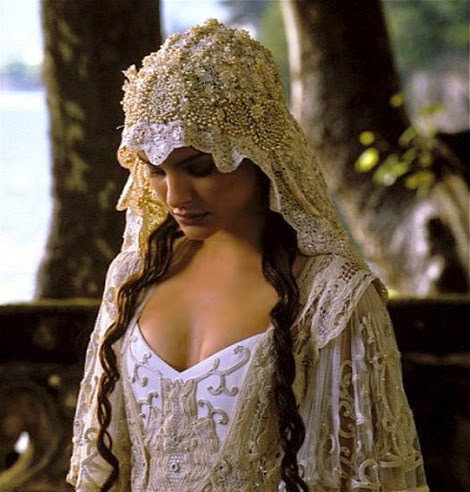 Breviloquent brings you our favorite 15 wedding dresses from the movies. 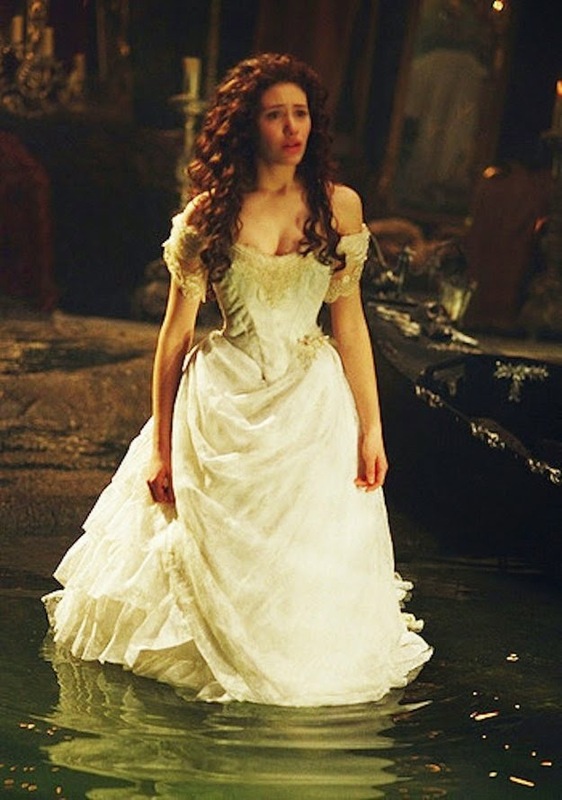 Sandra's character wears a 1930s-style wedding dress that originally belonged to her groom's grandmother. It's old-fashioned but updated and modern at the same time which included romantic details, such as a high neck, that Sandra specifically requested. 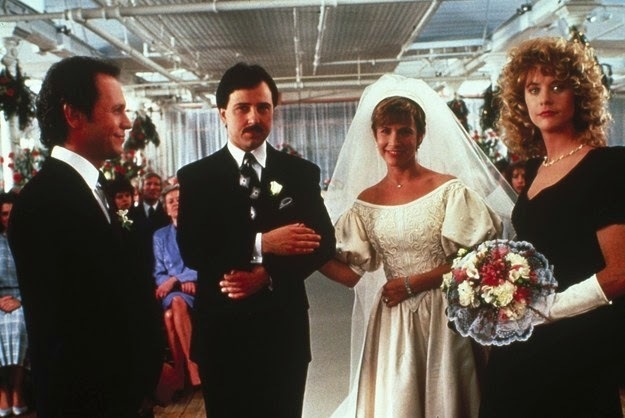 The vintage off white gown with flowing details and an off the shoulder sleeves worn by Carrie Fisher in the romantic comedy still remains to be the most worn style mostly at the Christian weddings. This wedding dress is a Semi-full skirt with rows of ruffled lace, which are topped with a small floral trim. Detachable bustle that ties around the waistline. Bodice laces in back, in a victorian jacket style, buttons down the front, various trims and 3 layer ruffled sleeves. 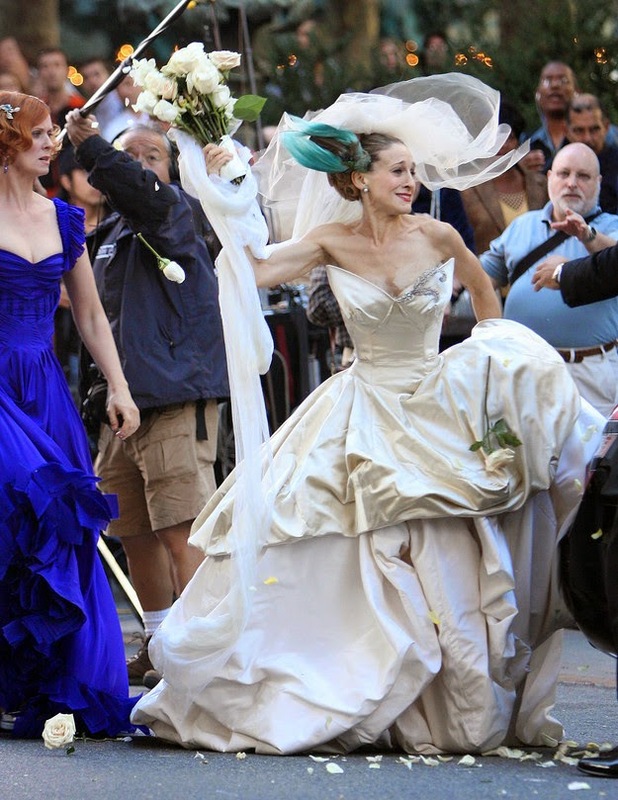 Ehrlich Kalfus designed the ensemble Joy Wears for her intoxicated nuptials. She topped off the silk jersey dress with loads of pearls and added not one, but two garter belts to Cameron’s great gams. Twi-hards everywhere waited ages for the wedding of Bella Swan (Kristen Stewart) and Edward Cullen (Robert Pattinson), and the wedding dress didn’t disappoint! Chic and simple with a beautiful lace back, we can’t think of a more elegant choice for such a highly anticipated occasion. Delectably whipped confection in white tulle for Kirsten who plays Justine. What a dress this is with a ruched bolero and shirred bodice. Gowns measure 5’8” to 6’ in circumference, handmade from 25-35 yards of fabric, with huge wire cages and corsets underneath. 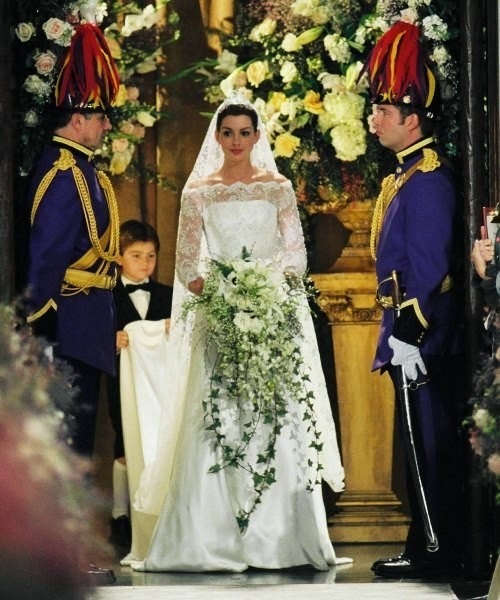 The Queen’s piece de resistance wedding gown weighed a toppling 60 lbs and was 8 ft in diameter. 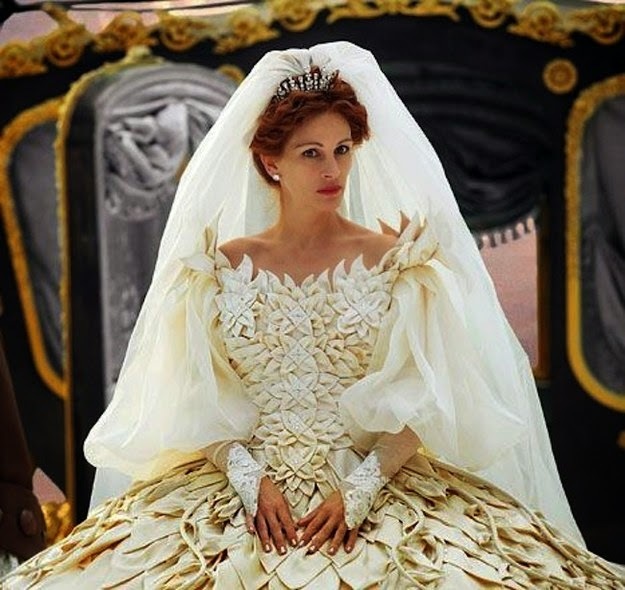 The secret lies in the more than 100,000 Swarovski crystals, in 20 different tones, embroidered on the wedding dress that the actress wore on screen throughout the film. To create this dress, Biggar considered lace from all over the world, but she found nothing appropriate, until she ran across a 100 year-old bedspread in an antiques shop in Australia. Since the vintage material was limited, Biggar successfully incorporated it with eleven off-white silk tulle pattern sections. The veil was made of Maltese lace, decorated with Edwardian wax flowers and beaded pearls. 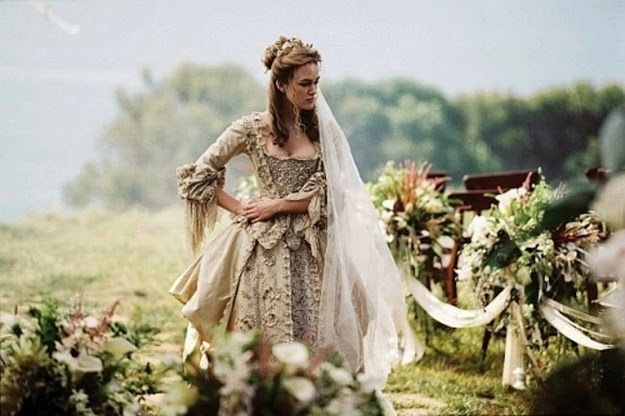 Elizabeth's wedding gown is a fine example minute attention to detail. It is comprised of a deep ivory silk and raffia fabric embellished with a leaf, floral, and fan design. The stomacher looks almost embroidered, with layer upon layer of this raffia design sewn on to it. This dress is perfect for the modern, yet traditional bride - although we think the flowers are a tad OTT. Unfortunately the dress was made especially for the film by costume designer Gary Jones, and so it isn't available to buy. This wedding dress already has garnered plenty of attention. The gown, the work of Indonesian designer Tex Saverio, featured a metal bodice layered with silks and decorated with Swarovski crystals and weighed close to 25 pounds. First time round it was big, bold and beautiful in Vivienne Westwood, accessorised with a prominent feather hairpiece, and ever-so-stylish bridesmaids in varying shades of Zac Posen. But when it actually came to saying 'I do', it was a classic, ivory satin vintage dress and jacket - complete with Manolos, of course. The Venue speaks for itself, I do not think there is another venue in the city more spectacular than this place. Our guests were all in awe of San Diego Wedding venues. If you are looking for an unforgettable wedding day, look no further, this is the place.